home Entertainment Any Snake In Your Life Or Someone Who Pissed You Off? 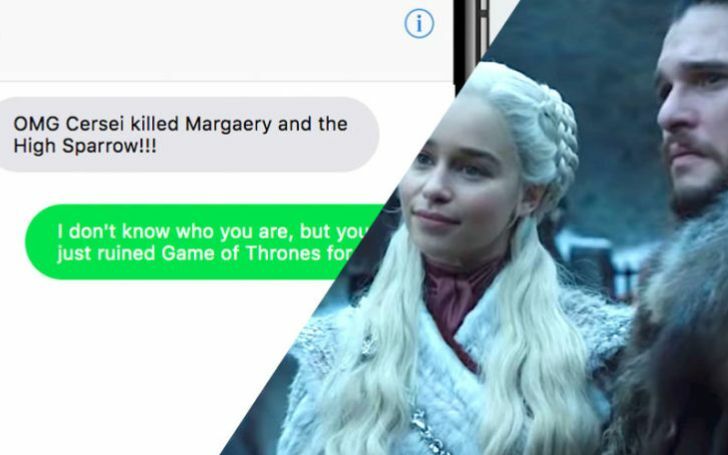 This Website Will Text Game Of Thrones Spoilers To Your Friends! A website will give out spoilers of the upcoming Game of Thrones season 8th! You're watching a hit and most spoiled TV series of all time and up until now you've made it to the ending and then suddenly one of your friends, out of nowhere, tells you how the show ends. That really ruins it, doesn't it? No matter how far you or wherever you go, there will still be people who really like to spoil things but not to worry, this time you can get back at them. How you may wonder! The messaging service, Spoiled.io will spoil the latest episode of Game of Thrones to your friends or enemies. 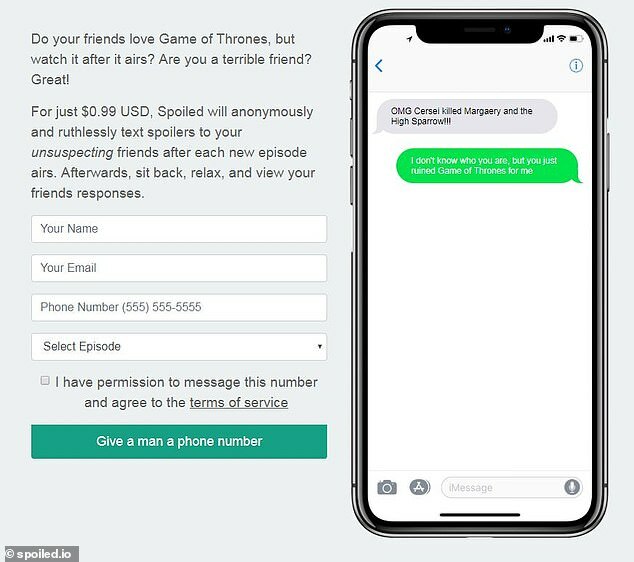 Apparently, there's a texting service called Spoiled.io which will automatically text all the vivid details of the new episode from the newest episode of Game Of Thrones. The HBO series has become somewhat of a force to be reckoned with in the world of entertainment and as the final season is nearing, many are expecting to watch the show without any spoilers. Probably this is the reason why, many of the fans stop interacting in social media, especially in Facebook & Reddit. The messaging service charges $0.99 per episode and even works behind closed doors, so your identity is safe. The users of the ruthless service then will be provided a link through which they can see the victim's response. Quite a sinister move, don't you think! Well, the service is actually inspired by an incident posted in Reddit in which a person wanted retribution against her ex-boyfriend. According to the now-deleted post, the ex-girlfriend used to spoil Game of Thrones episode. She used to text message him via mutual friend's phone or from WhatsApp and when he used to answer, she spoiled all the episode. You May Also Like: The Final Season of Game of Thrones is upon us; Whose Death Will Change The Story Line and How? So people, if you have so-called Snake friends in your life or someone who you want to take revenge on and they happen to be GOT fans then go ahead and make use of the elite service, and serve the justice in the platter for them.